Noisily is an event that doesn’t take itself too seriously and neither do the 4,000 people who attend. The festival offers an alternative to mainstream festival culture, an inclusive haven where underground music thrives and self expression flourishes. 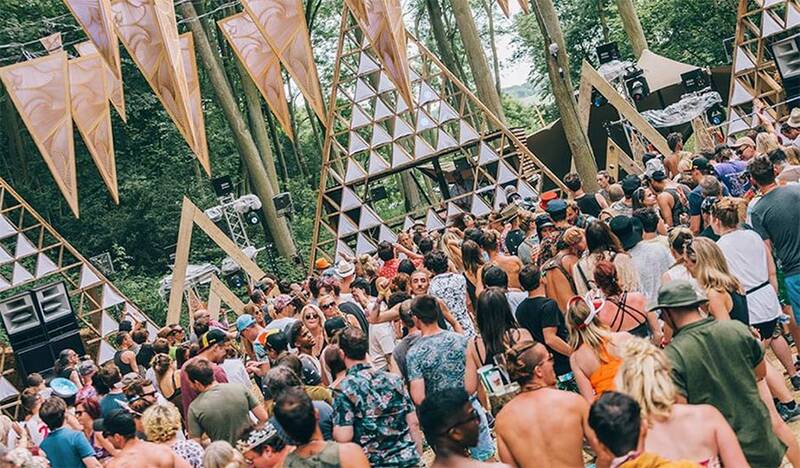 Whilst rooted in the electronic music scenes, Noisily is a holistic environment which feeds the mind, body and soul. It’s a celebration of psychedelic art and culture in a society which is increasingly looking within for happiness and fulfilment, and away from material goods and money as the definition of success. The environment is at the forefront, Noisily commits to protect and conserve the local environment to set an example and inspire their community to live consciously year round. Being one of the first festivals we ever provided yurts at, means that Noisily will always hold a special place in our hearts. We’ve seen it go from strength to strength, but this really is one that you’ll have to experience for yourselves. These prices include VAT at the rate of 20%. All holding deposits are non-refundable. Yurt with lockable door and groundsheet. Yurt with lockable door, groundsheet, carpeted floor, rugs, a sheeted airbed for each person (doubles and singles available), scatter cushions, side tables, decorative throws, a mirror and ambient LED lighting. £20 per person Fluffy towel, blanket, Winter 13.5 tog duvet, two pillows, luxury linens to include duvet cover, pillow cases and sheet. £50 per unit Double socket (not suitable for hairdryers). Accommodation Yurts will also come with a hanging light. Yurt with lockable door, groundsheet, carpeted floor, rugs, a raised memory foam mattress, (doubles and singles available), scatter cushions, side tables, decorative throws, a mirror, ambient LED lighting and a double power socket. The following bedding package is included per guest – Fluffy towel, blanket, Winter 13.5 tog duvet, two pillows, luxury linens to include duvet cover, pillow cases and sheet. Yurt with lockable door, groundsheet, coir matting, large central rug, welcome mat, a raised memory foam mattress per person (doubles and singles available), all bedding (Fluffy towel, blanket, Winter 13.5 tog duvet, two pillows, luxury linens to include duvet cover, pillow cases and sheet), scatter cushions, side tables, decorative throws, mirror, large vintage storage chest, hanging clothes storage, hanging shelving, dining table and chairs, Moroccan lantern and ambient lighting. Bell tent with zipped in groundsheet, zippable doors and windows. Bell tent with zipped in groundsheet, zippable doors and windows, small entrance rug, large central rug, a sheeted airbed for each person (doubles and singles available), scatter cushions, side tables, LED fairy lighting and some decorative pieces.